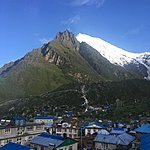 The Langtang trek is a trek with real heart. 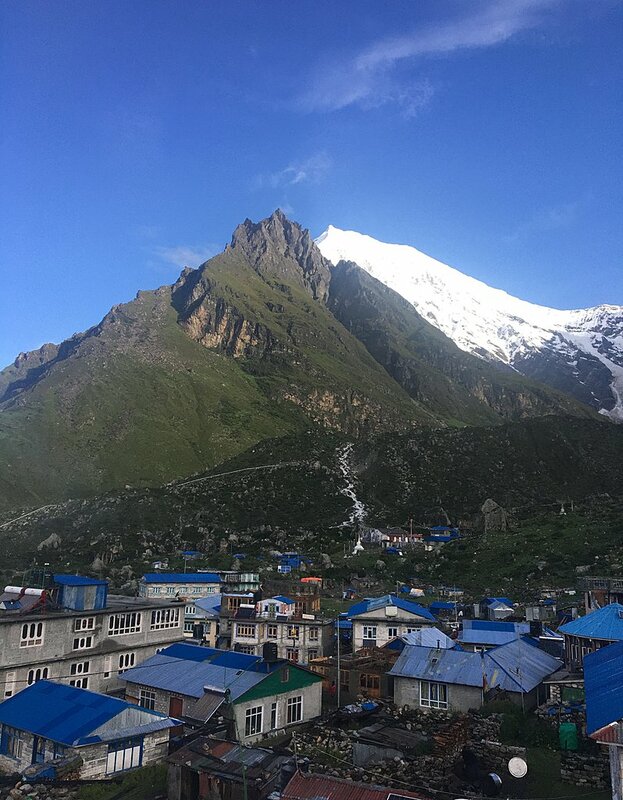 The Langtang Valley is one of the most beautiful places in Nepal and was once the darling of trekkers seeking stunning landscapes and authentic culture along with heartwarming hospitality in delightful homestay guest houses — all within easy reach of Kathmandu. 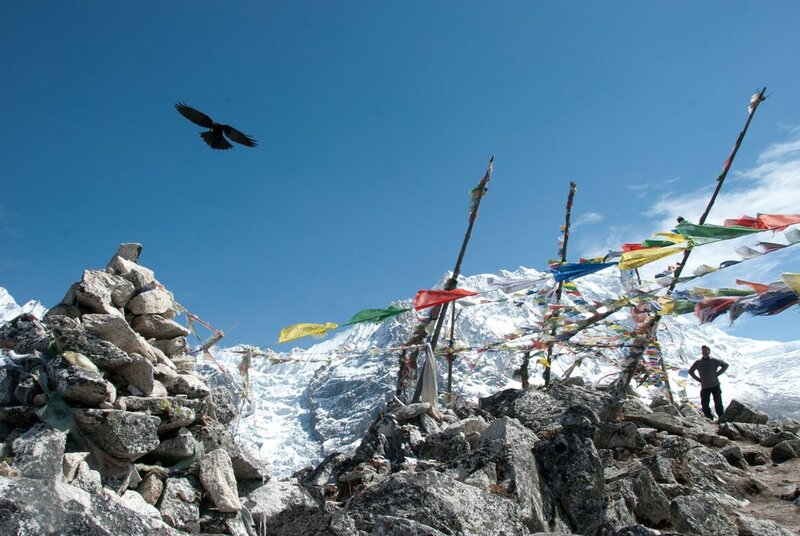 However, the Langtang Valley is almost devoid of visitors these days as the people of Langtang are continuing to rebuild their lives after the 2015 earthquake. Survivors of the landslides caused by the earthquake were forced to leave the valley, but now they have come back to reclaim their homeland, rebuild their homes and re-establish their farms. 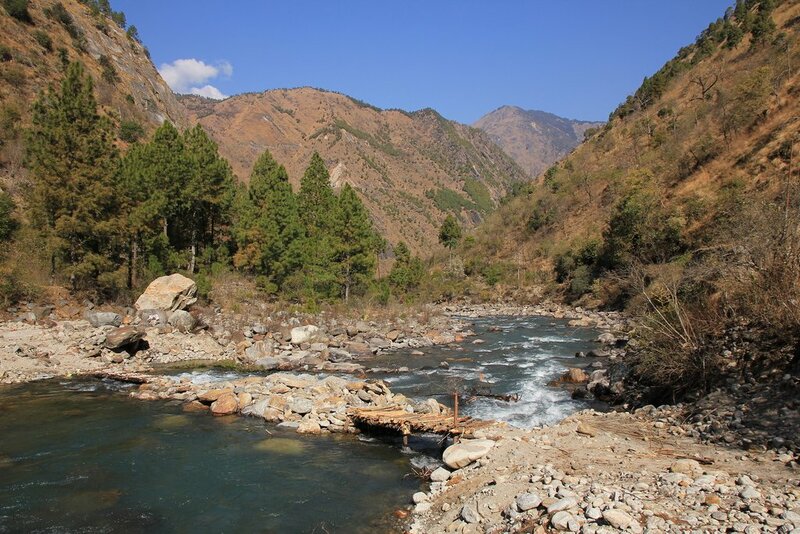 Trekking in this beautiful valley will support the people of Langtang by providing much-needed income to rebuild in a sustainable and secure way. This is not charity; this is the business end of sustainable travel, where your travel choices can respectfully support local people while preserving their dignity, their culture and their way of life. Be wowed by nature, be humbled by the human spirit and be a part of local solutions when you choose to trek in Langtang. The trek starts at the small town of Syabru Besi. You will trek through magnificent forests to the high alpine meadows and yak pastures around Kyangjin Gompa (a Buddhist monastery). After an (optional) day hike up to the top of Kyangjin Ri (peak), where the 360-degree views of the Himalayan mountains are truly spectacular, you retrace your route back down the valley and drive back to Kathmandu. If time is limited and money isn’t an issue, consider adding a helicopter ride out from Kyanjin. Not only will this shorten the trip significantly and prevent you from needing to retrace your route, but you’ll have unforgettable views that can’t be had any other way. Day 3 Kathmandu to Syabru Besi 1,460 m. / 4,790 ft.
Day 4 Trek to Lama Hotel 2,470 m. / 8,103 ft.
Day 5 Trek to Mundu 2,470 m. / 8,103 ft.
Day 6 Trek to Kyangjin 3,800 m. / 12,467 ft.
Day 7 Ascend Kjangjin Ri or explore Kyangjin 4,773 m. / 15,659 ft.
Leave Kathmandu early for the seven-hour journey to the Langtang Valley. 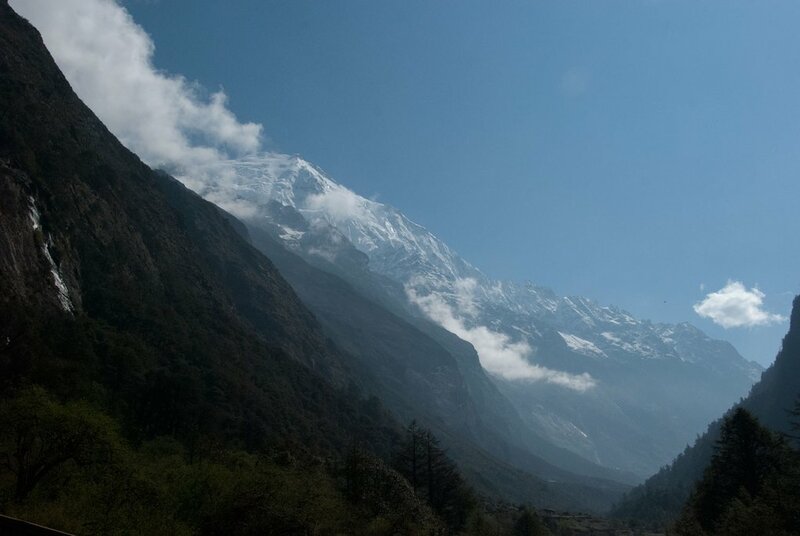 The road climbs high over ridges as it leaves the Kathmandu Valley, and provides impressive views of the Annapurna Himalayas in the west, to Manaslu, Ganesh Himal and the peaks of the Langtang region ahead. 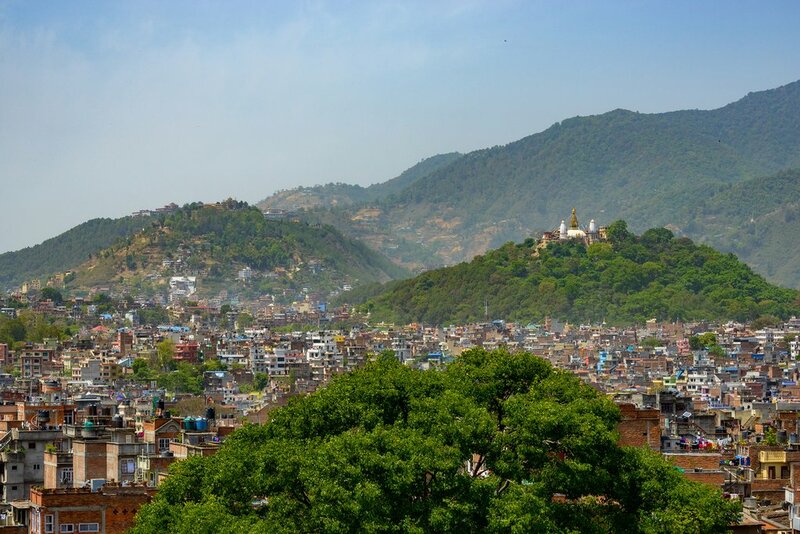 We drive through the bustling town of Trisuli before climbing towards Dunche and the Langtang National Park. After the town of Dunche it is another hour downhill to Syabru Besi and your lodge for the night. 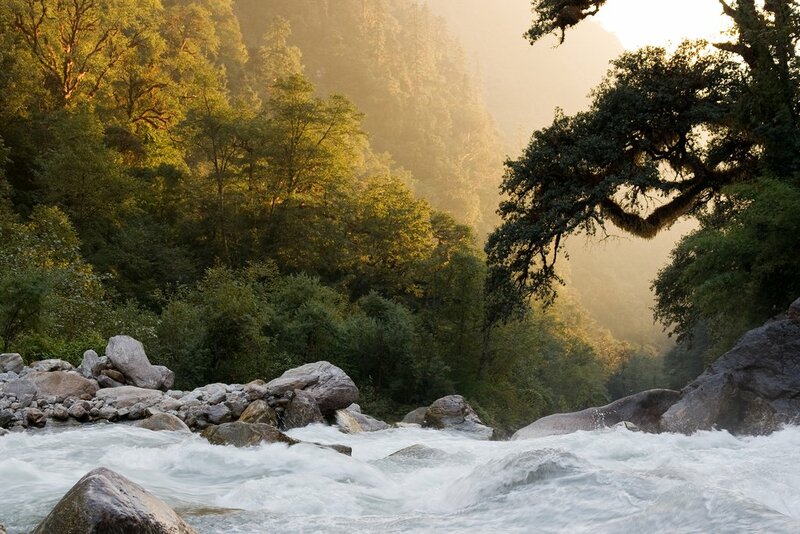 Today’s trail crosses the Bhote Kosi — meaning ‘Tibet River’ — which flows from nearby Tibet. It then gradually climbs through sub-tropical forests to join the trail from Syabru Besi, then climbing through uninhabited oak and rhododendron forests. Look out for langur monkeys in the trees. The trail through the forest up to Lama Hotel becomes steep, but the reward is a comfortable bed in a cozy lodge in the small settlement. The trail continues to climb through forest, with occasional glimpses of Langtang Lirung between the trees. At Ghora Tabela (3,000 m. / 9,842 ft) the trail emerges from the forest and the mountains loom on either side of the valley. Once there was a Tibetan resettlement project here, but now it is a Nepal Army post with no permanent inhabitants. The trail continues to climb gently and the valley widens, passing a few temporary settlements used by herders who bring their livestock to graze in the high pastures during the summer. You will probably glimpse your first yak if you haven’t already. The next part of the trail is a somber reminder of the 2015 earthquake. Where Langtang village once was, with numerous lodges, there is now only a huge rock field. 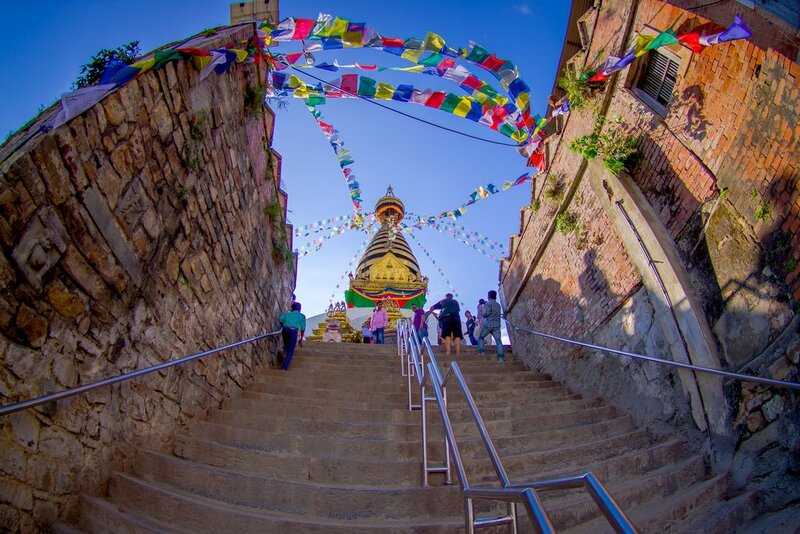 Spare a thought for the Nepalis and tourists who lost their lives here, and remember that your journey here will help support the survivors. Mundu is just half an hour’s walk further on. The old houses here are a reminder of what all the villages once looked like in this valley. Most of the lodges and homes in this area are now built in a more modern style. 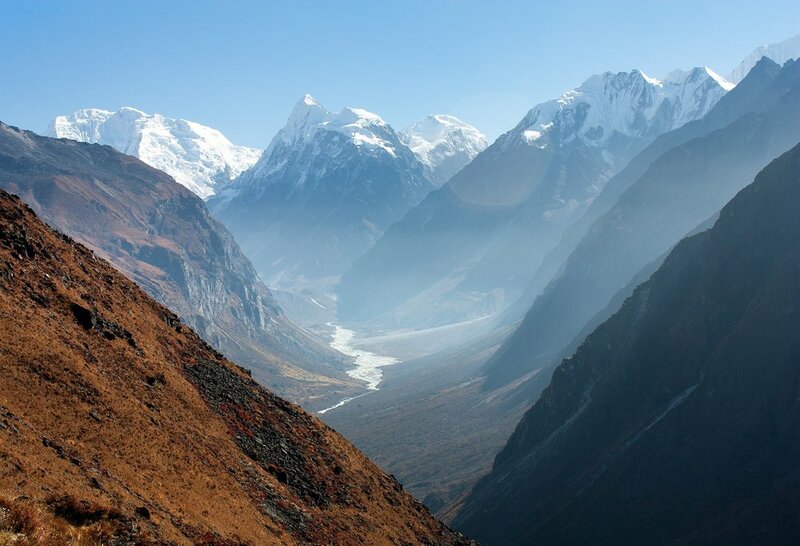 From Mundu, the trail climbs gradually through yak pastures as the valley opens out further and the views become more extensive. After crossing several small streams and moraines, the trail reaches the settlement at Kyangjin. Here there is a small monastery and a government-operated cheese factory, which is a good place to stock up for lunch and afternoon snacks. As you will arrive by lunchtime there is time to take it easy in the afternoon or explore the area. 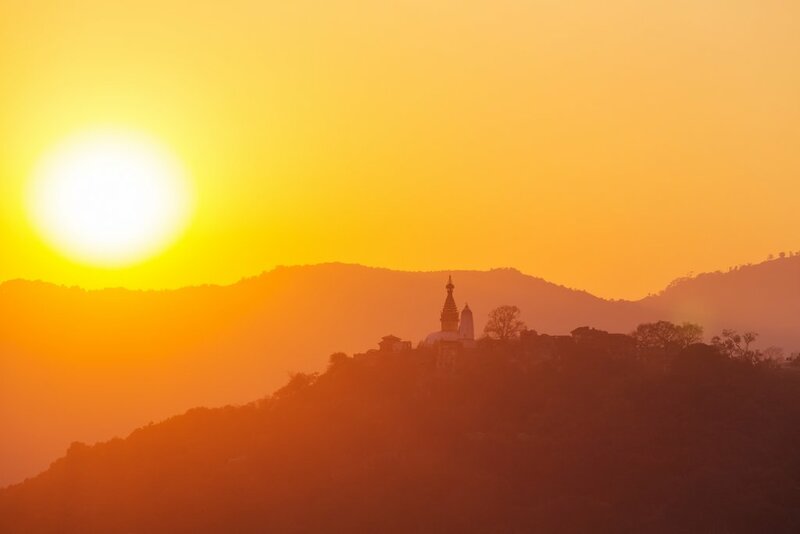 If you are feeling energetic, head up the Valley towards Langshisha Kharka to see some of the amazing views. From Kyangjin retrace the route you followed up the valley, following the Langtang Khola to Mundu village and on to Ghora Tabela. The descent will certainly be faster than the ascent. After lunch, continue the steep descent to Lama Hotel. Continue retracing your steps to Syabru Besi, enjoying the quiet forested hills. If you are feeling fit, take the spectacular route from Rimche via Sherpa Gaon to Syabru Besi; it will take much longer to reach the ultimate destination, but it’s a stunning detour. If you have got more time, this trek combines well with the nearby Tamang Heritage trail, which adds an extra 4-6 days of trekking. There you will learn more about the ethnic Tamang people, who originally came from Tibet. If you're interested in extending your time in this region, take a look at this 14-day trekking itinerary. 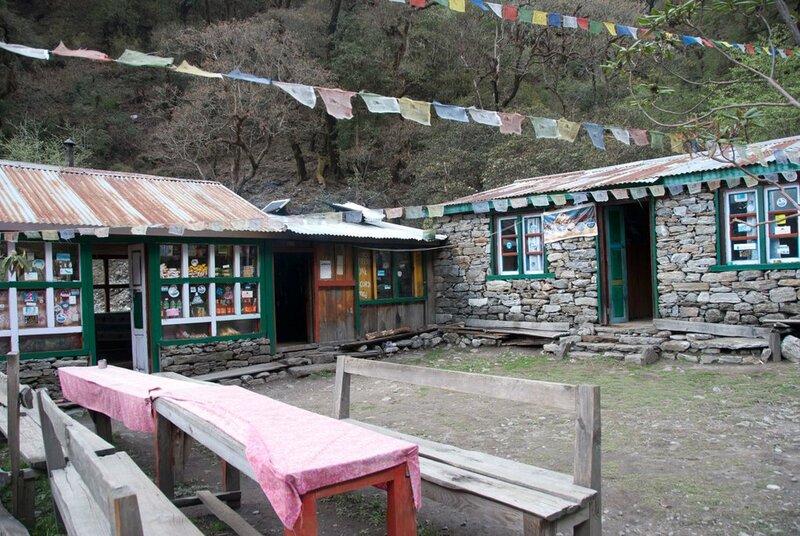 The Langtang Valley had been very well set-up with plenty of comfortable lodges. While the earthquake and landslide destroyed many in certain towns (most dramatically, in Langtang Village), plenty of other settlements were less affected and good options are still plentiful. The standard here is good, with warm blankets, fireplaces, comfortable beds, the occasional hot shower (for an extra fee) and a variety of food. Don’t forget to try the momos in this region, as they are larger and more pastry-like than those commonly found in the capital. 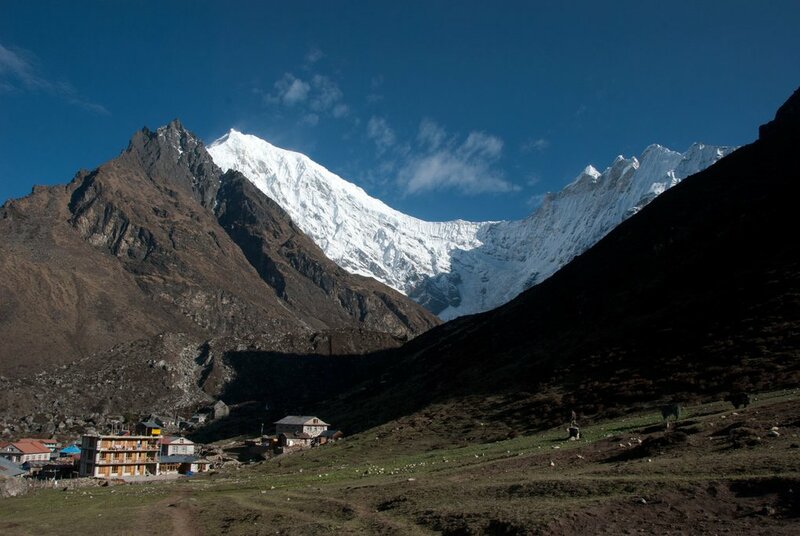 To trek in the Langtang National Park, you have to drive to Dunche, Sano Barkhu or Syabru Besi to start the trek. Public buses are available from Kathmandu, but slow. A private vehicle or jeep is a much better option. Exit is via the same route unless you trek over Gosainkunda and back through Helambu to Kathmandu. 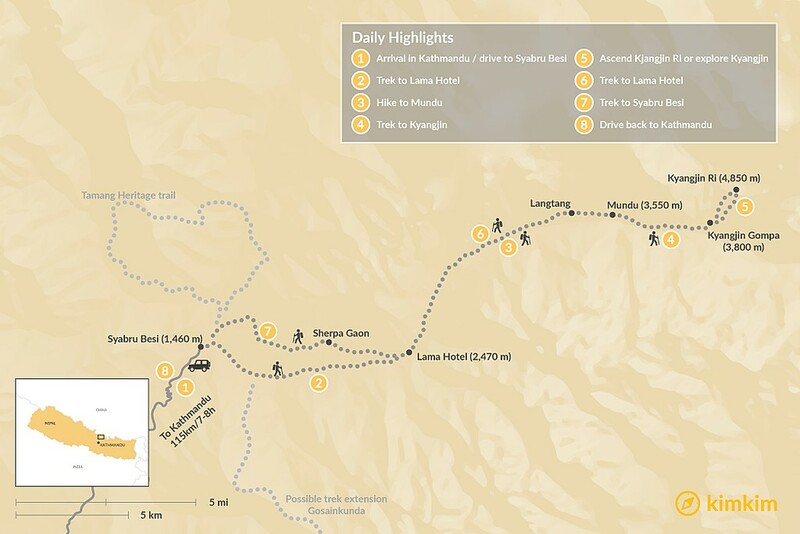 You’ll need a TIMS card (US$10) and a Langtang National Park permit (US$34). If you’re trekking with an agency, they will arrange these for you. 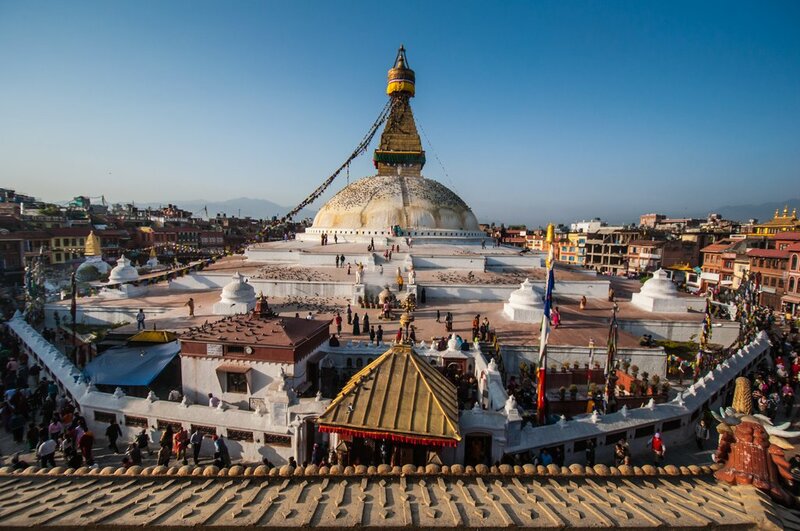 If you’re arranging the trek yourself, you’ll need to pick up your TIMS permit in Kathmandu and your Langtang National Park permit in Dunche. The planning was very helpful and my guide, Ngawang Sherpa, was great. However I feel slightly deceived. My trip cost over $100USD per day, and I was assured that it would be just as expensive to do it on my own. However, I looked at prices while trekking and it would have cost me around $25 a day including my permits and transportation. The trek was beautiful though and the experience was so memorable. 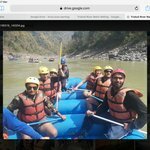 I would definitely suggest to someone trekking in Annapurna to do it without a guide however, because you could save so much money. 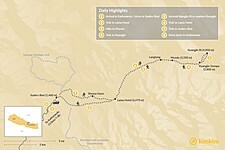 The Lang Tang trek was exactly what I was looking for! Following a beautiful blue river through the jungle like forest, past a variety of rhodedendron and finally up, up, up to the Himalayas was spectacular. Rishi our guide was lighthearted and fun. Susan our porter not only carried some of our weight but added to our enjoyment throughout our journey. By the end of the trail we had become friends, sharing laughter and life stories. It was refreshing to get away from the crowds of people and take in the beauty around us. Along the way we met some very friendly people, one of our favorite interactions was with Sylee at the Lama Hotel, her bright spirit and playfulness made us feel right at home! We lucked out with a clear day at the top and really enjoyed taking in all of the breathtaking views. I wiuld definitely book a trip with Kim Kim again and again!